Periodontal disease can severely damage your smile, leading to receding gums, tooth loss, bone recession, and even a changed jaw structure. As if all of these concerns are not enough, scientists have discovered another reason to seek treatment for gum disease. According to the American Academy of Periodontology, if you have periodontitis, you are twice as likely to develop heart disease. In fact, the presence of periodontal disease is one of the most accurate ways to predict a your risk for cardiovascular disease. Luckily, we offer effective periodontal therapy to protect both your smile and your overall physical health. Periodontal disease is one of the most common health problems in the world. According to the CDC, half of all American adults over the age of 30 suffer from this condition. Although your mouth is full of healthy bacteria, when harmful bacteria accumulate on your teeth, it will multiply rapidly. Eventually, it will move below the gum line. Then it will form pockets in the soft tissues. As the pockets grow, the gum tissue will pull away from the underlying bone. Eventually, you may experience severely loosened or missing teeth, as well as gum recession. In severe cases, the bacteria could affect your bone tissue, leading to a severe or even life threatening bone infection. Plaque is one of the leading causes of heart attack and stroke. However, the plaque that is found in your blood vessels is not the same type of plaque that is found on your teeth. Arterial plaque is comprised of cholesterol, fat, calcium, and other substances. When clots of arterial plaque form, they impair blood flow. In addition, blood clots contain bacteria, including the same harmful bacteria that causes tooth decay and gum disease! 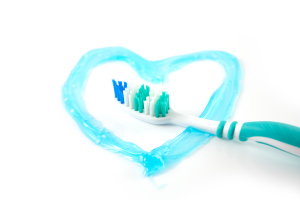 Scientists are unsure about the exact link between heart and periodontal disease. Many believe that oral bacteria enter the blood stream, where they attach to fat cells in arterial plaque. Whatever the precise connection, few doubt that there is a very strong link between the two conditions. Fortunately, even if you suffer from periodontitis, timely treatment can save your smile – and your cardiovascular health. There are several different treatment options, and the one we recommend will depend on the severity of your condition. In mild cases, a thorough cleaning can eliminate all harmful bacteria. In more severe cases, you may need a deep cleaning and/or antibiotic therapy. No matter which treatment you receive, you can rest assured that we use advanced techniques for consistently effective care.